Allard Pierson Museum is one of the best archeological museums in the whole city. Situated at the Oude Turfmarkt 127 in Amsterdam the destination sees a lot of tourists all the year round. 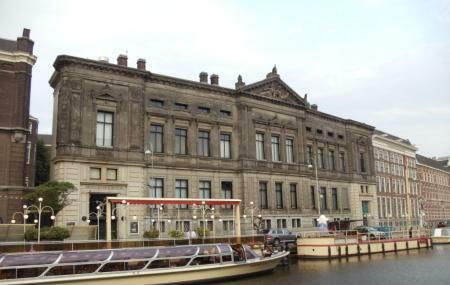 The place has some of the most magnificent relics and artifacts that Amsterdam has to offer. There are many exhibitions from ancient Egypt, the Near East, the Greek World, Etruria, and the Roman Empire that is sure to give you a good time while you are here. How popular is Allard Pierson Museum? People normally club together Sexmuseum and Tropenmuseum while planning their visit to Allard Pierson Museum. Great museum, I did felt like in Egypt inside, like an archeologist. There were a few people working on some pottery pieces trying to fix them, they talked to us very briefly, that was cool. This museum has a nice archeological collection, from antiquities, to Egyptian artifacts, to the local stuff. They have a "hotspot" where visitors can try their hand a piecing together ceramics from an excavation, which was awesome. The standard collection was organized by theme, as in war, trade, etc, not chronologically, which made it a little difficult to get an oversight. The temporary exhibition was awesome, lots of photos from the beginning of the 20th century and from all over the world. I can only assume they'll replace it with something as interesting. All in all, if you like archeology, it's certainly worth a visit. There's a lot of interesting history here, but it's difficult to find your way around the museum. I'm sure I missed a few things, and I got lost along the way. Definitely bring a map with you throughout the museum.